The Stiga Genesis II S is an updated, spin-oriented version of the original Stiga Genesis S.
The Stiga Genesis II S is an updated, spin-oriented version of the original Stiga Genesis S. The Genesis II S combines the best of the great table tennis cultures in one decking. It is a powerful synthesis of Japanese and Stiga-developed OCS technology, Swedish knowledge and an ultra-spine elastic top rubber from China. The new sticky surface has been specially developed for the ABS ball for maximum spin. 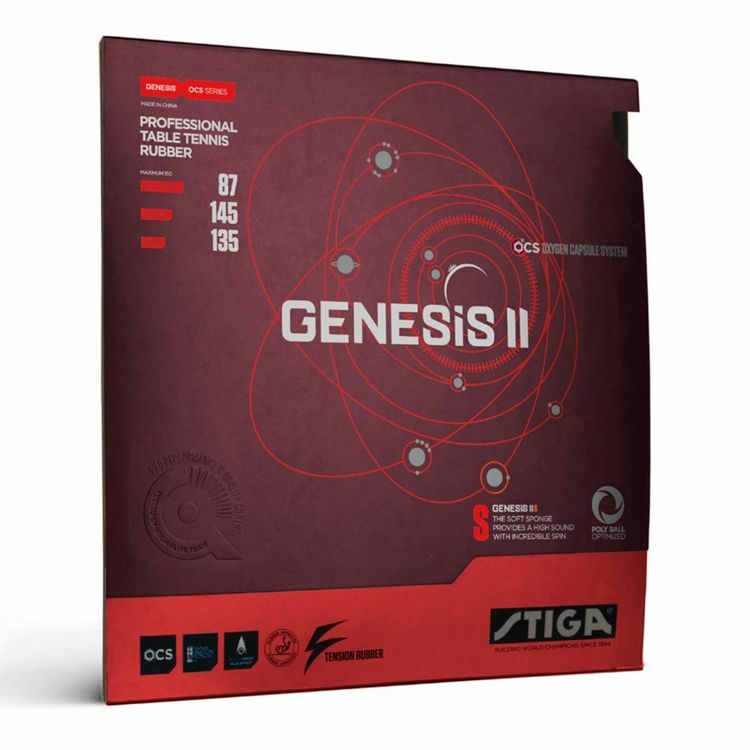 The Genesis II S is also sustainably engineered to increase the durability and life expectancy of the rubber. The soft sponge produces a clear sound and incredible spin and touch.